Cat palm is a beautiful, fluffy little palm you can grow as an accent, backdrop or short, dense screen. The Cat Palm tree is similar in looks to an Areca Palm, except the leaf stems (petioles) are green, whereas the Areca's are golden yellow. This smaller palm works in places where the areca would be too large. The cat palm tree isn't a tree at all. It is a clustering palm with no trunk whatsoever, just a dense clump of stems covered with feathery fronds. 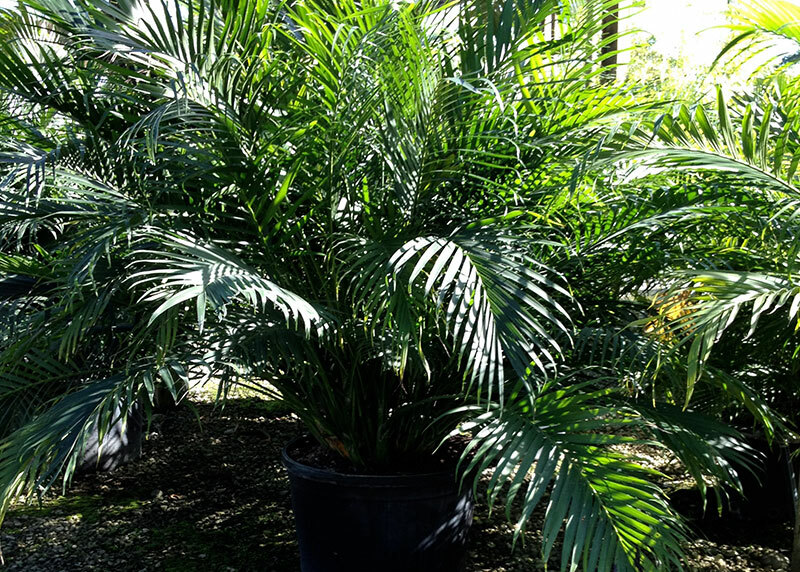 This palm only grows 6 to 8 feet tall in a rounded form. It's a slow grower that will tolerate sun or shade, though shadier locations are best. Plant in Zone 10, or in warmer areas of Zone 9B in a well-protected spot. These palms need regular watering, though they don't like "wet feet." Plant with a good amount of organic peat moss or top soil in the hole to help the roots retain moisture. Planted in full sun, a cat palm will require more frequent irrigation than one in shade. Fertilize at least three times a year in spring, summer and autumn but more (up to once a month) if the palm is in a sunny location. The fertilization (and additional watering) will help keep this palm's healthy deep green color. You may have to trim some fronds occasionally for a nice clean look. Cut the stem off as close to the ground as possible.